And while we're at it, Happy Thanksgiving, Happy Hanukkah, Merry Christmas, and any other holiday we've missed - we've been so busy we haven't blogged in awhile! The last two months have been a flurry of activity for LEO DUO, with a bevy of ensembles for clients and costume design projects for theatres in San Diego. Both Jeannie and Jennifer's toddlers turned two (only one month apart! ), and Jennifer snuck in a two and a half week trip to England to visit her in-laws. Most recently, LEO DUO had the privilege of working with KPBS to costume their annual gala. 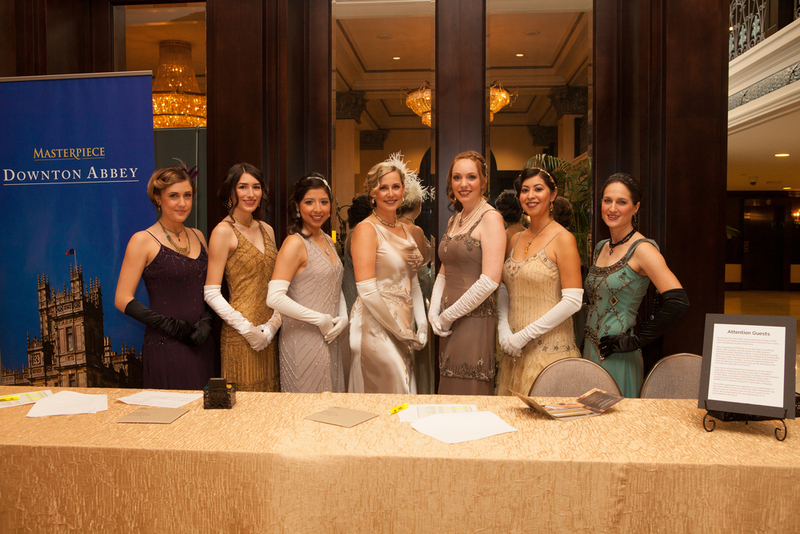 The event on January 11th featured a Downton Abbey theme, celebrating the success of the Masterpiece program. We provided ensembles for 18 staff members and attendees. Here's a glimpse of our work, featuring the beautiful KPBS volunteers. We wish everyone a happy and healthy 2014 - and we are excited for what the new year will bring!